All staff were extremely helpful, Sara done an excellent job of looking after our stay :-) thankyou very much ! Rooms were OK. Reception Staff was very terrible. They took one hour to confirm the room. Where to find Ludhiana hotels near an airport? How can I find hotels in different Ludhiana neighborhoods? 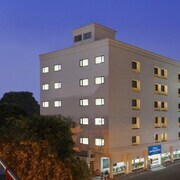 Where can I find hotels in Ludhiana that are near tourist attractions? 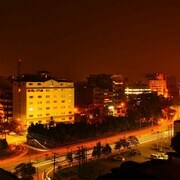 Visitors to North India will discover many hotel and apartment options to select from in Ludhiana. Within our comprehensive accommodation pages you'll find 23 accommodation choices within 0.1 kilometres (0.06 miles) of Ludhiana's downtown. The Fortune Park Klassik Hotel is a favourite hotel option due to the fact that it is conveniently located to Ludhiana's town center. Are you hoping to identify economical places to stay? 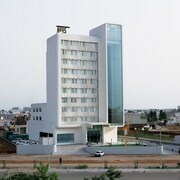 You should explore the Hotel Onn, Keys Hotel, Ludhiana and Hotel Samrat. 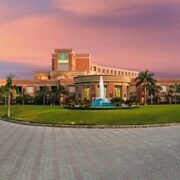 6 kilometres (4 miles) away from the main part of Ludhiana, is the Radisson Blu Hotel Ludhiana. The Park Plaza Ludhiana is 1 kilometre (1 mile) away. 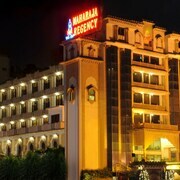 Other places to rest your head are the Maharaja Regency and the Hotel Nirvana. After you have seen Ludhiana, you should leave time visit the many other delights of the North India area. Spend time at North India's ruins, traditional villages and old towns and admire its beaches, coastal plains and forests. In this region of India tourists might enjoy skiing and cross-country skiing. Consider spending a day or two visiting Baddi University of Emerging Sciences and Technologies and E-Aysa Mosque, in Baddi, 90 kilometres (56 miles) to the east of Ludhiana. If you'd like to spend a night or two in Baddi, be sure to check out the Hotel Legend Sarovar Portico, Baddi and Best Western Royal Park. 55 kilometres (33 miles) to the northwest of Ludhiana, you can also stay at Jalandhar, home to the Radisson Hotel Jalandhar and Country Inn & Suites By Carlson, Jalandhar. If you stay in Jalandhar, don't miss the Prithvi's Planet and Wonderland Theme Park. Before you head home from North India, make sure you experience some sport. Visit Guru Nanak Stadium to the north of Ludhiana. Book a hotel right near the action at the Fortune Park Klassik Hotel or the A' Hotel Ludhiana. Chandigarh Airport can be found 95 kilometres (58 miles) away from Ludhiana. Should you wish to stay nearby, you can easily book a room via Expedia at the The Altius A Boutique Hotel or The Fern Residency Chandigarh. What are the most popular Ludhiana hotels? Are there hotels in other cities near Ludhiana? What other types of accommodations are available in Ludhiana? Explore Ludhiana with Expedia.ca’s Travel Guides to find the best flights, cars, holiday packages and more!